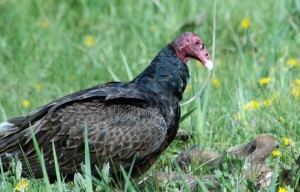 Turkey Vulture Facts - What Do Turkey Vultures Eat? - Where Do Turkey Vultures Live? Turkey Vulture Facts – What Do Turkey Vultures Eat? Where Do Turkey Vultures Live? This article demonstrates some of the most interesting turkey vulture facts that are not widespread. Turkey vulture belongs to the family of Cathartes aura and is endemic to North America. The name derived from the Latin word ‘vulturus’ which means tearer and is referred to as the feeding habits. These types of vultures are also known as turkey buzzard and carrion crow. These species are also widely distributed across South America and Canada. The global population of turkey vultures had been extinct until 1980’s, after which it has been growing all throughout North America. For the reason that they do not forage on their own, they do fall prey to poisonous animals at times. These birds of prey are 62 – 81 cm (24 – 32 inches) long. 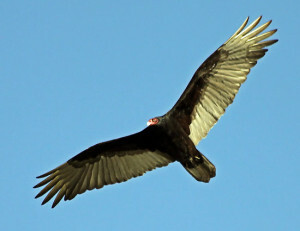 Turkey vulture has a wingspan of 160 – 183 cm (63 – 72 inches). 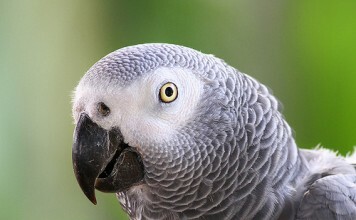 These birds weigh around 0.8 – 2.3 kg (1.8 – 5.1 lb). The average weight measures around 2 kg (4.4 lb), the neotropics vultures weigh 1.45 kg (3.2 lb). 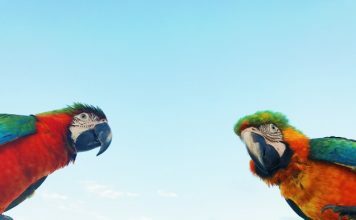 Apparently it seems as if males and females have similar plumages; however, males are slightly smaller as compared to females. Turkey vultures have brownish feathers with dark linings on its wings. As compared to eagles or hawks, these birds of prey have smaller beaks. The head exhibits pink-skinned color. The claws of turkey vulture measures 9.5 – 14 cm (3.75 – 5.5 in), with a width of 8.2 – 10.2 cm (3.25 – 4 in). The turkey vulture is slightly greater in comparison to the Black Vultures. The maximum age of turkey vultures is about 21 years. These birds of prey produce hissing and grunting sounds. They can live up to 30 years under captivity. If you observe closely these turkey vultures, you’ll see they awkwardly walk on land, and it takes a great amount of energy to get them off to the ground. 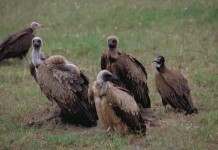 A group of vultures is known as “Venue”. Where Do Turkey Vultures Live? These types of vultures have greatest global range of 28 million sq. km. These are the most common birds across America, with the total population of around 4.5 million. They are mostly found in the subtropical areas, deserts, forests, shrublands, savanna, temperate forests, grasslands, farmland, wetlands, and woodlands. These birds often migrate from North to the South America. Turkey vulture facts guide us to believe that these large birds usually avoid dense forests. They build their habitats in caves during the breeding season. When the night falls, the body temperature of turkey vultures becomes lowered by 6oC. What Do Turkey Vultures Eat? From the turkey vulture facts we know that these birds of prey largely feed on small mammals, plants, coastal vegetation, crops, small insects, carrions, invertebrates, and pumpkins. These species are also known to feed on fruits. (3) One of the amazing turkey vulture facts is that it occasionally kills its prey. Like other raptors, these birds are very fond of eating fish. Even though these birds have few predators; however, they may generally fall victim to Bald Eagles, Great Horned Owls, and Golden Eagles. Their eggs are often taken away by the large mammals such as foxes, raccoons, Virginia opossum. One of the chief defense tactics is that these species reiterate a foul-smelling substance that prevents most of the predators from coming toward their nests. The breeding season begins in March and ends on May. If we go to the northern latitude, this season prolongs to the month of August. They normally lay eggs in a cave, crevice, rock, ledges, thickets, hollow logs, thrown away nests, or inside a hollow tree. Turkey vultures do not build nests rather female lay eggs on a naked surface. The females lay 1 – 3 off-white eggs. Both males and females are responsible for incubating (keeping warm) eggs. The hatching period lasts for 30 or 40 days. Parents reiterate young by feeding and look after their chicks for couple of weeks. The chicks come out of their nests after 10 – 12 weeks. The clutch size comprises 1 – 3 eggs. The eggs are 6.5 – 7.5 cm (2.6 – 3 in) long, with the width of 4.4 – 5.3 cm (1.7 – 2.1 in). Males and females incubate eggs for 28 to 30 days. 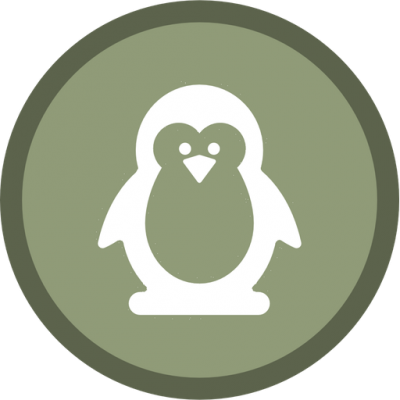 The nestling period lasts for 60 to 84 days. C. a. septentrionalis, found in Eastern United States.